Attention all jewelry enthusiasts -- I have a special treat for you and I think you may just love it! 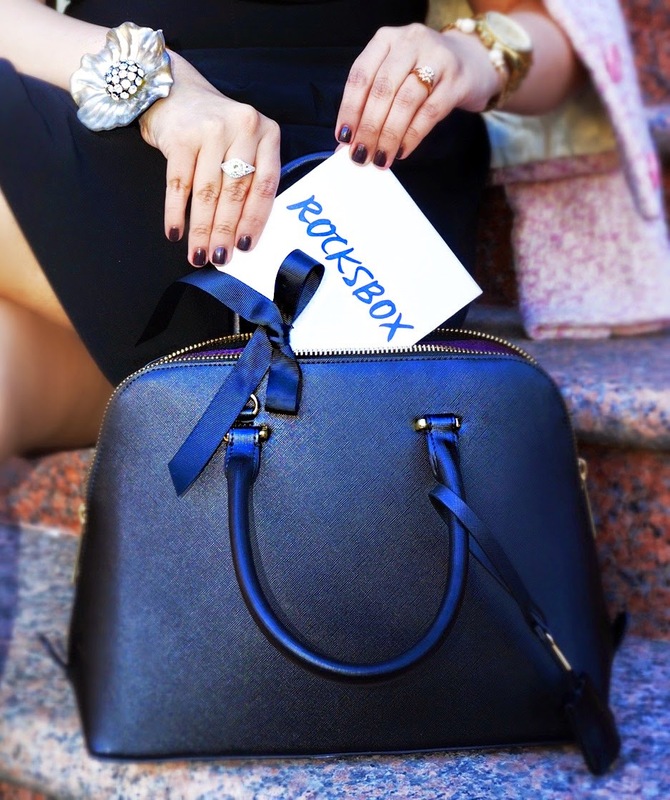 You may have heard the buzz about Rocksbox over social media and after finally giving this super cool monthly service a go, I can certainly say that its a great one. As one who loves jewelry, my personal style ranges from delicate to full on statement. 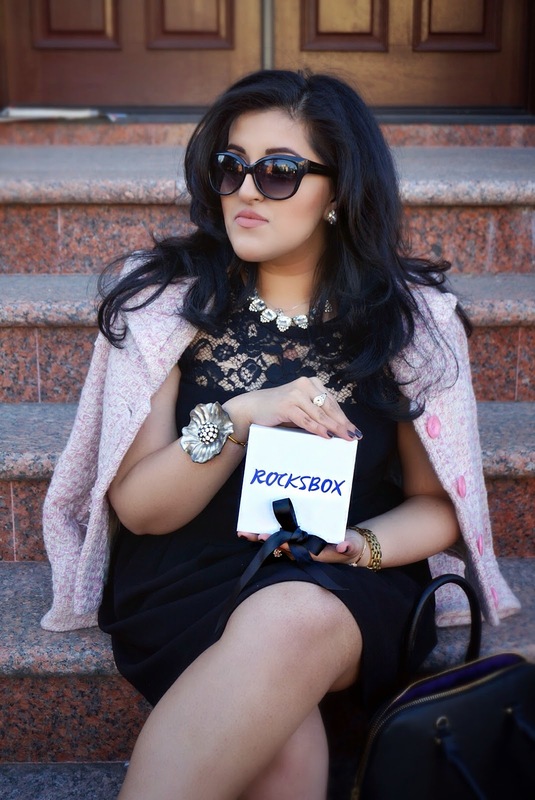 Rocksbox is just the remedy to my glitzy obsession. A monthly jewelry service, Rocksbox has taken a personalized approach to shopping which allows you familiarize yourself with a product prior to purchasing. 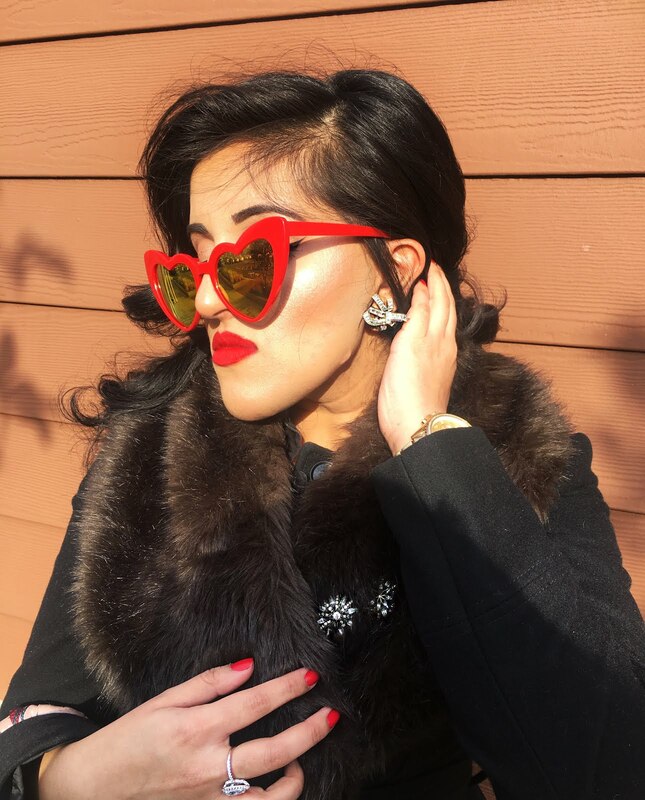 Upon signing up and creating a dense style profile, you will be assigned a personal stylist who will chose three uber-chic pieces of jewelry that'll cater to your unique style preference each month. Featuring creative and wildly popular designers like Gorjana, Kendra Scott, and Loren Hope, among others, there is a variety of styles to please your sparkly needs. My favorite aspect to this service is how it functions like your very own personal shopper. Each month, Rocksbox members get to familiarize themselves with three new pieces on loan. We can see if it truly suits us, plays well with our wardrobes or sits well with the jewelry we already own. The goal is the streamline our jewelry collections and find items that will carry us seamlessly into the next season, time and time again. Once your personalized box has arrived, you are given three dazzling pieces of jewelry on loan. 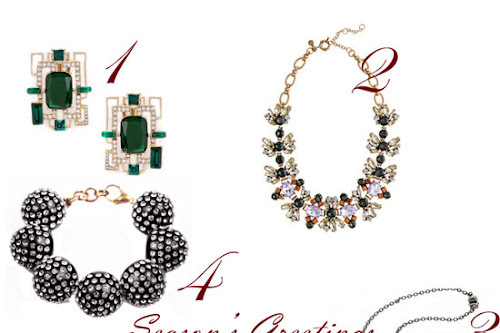 These borrowed baubles can be swapped or purchased at a time you see fit. Better yet, once you find a gem that you adore, it can be purchased at a discounted price, simply for being a member. 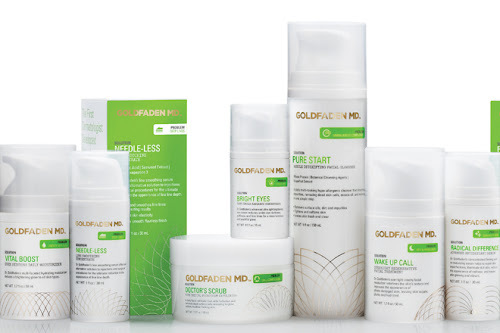 Once you're ready for a new set, neatly nestle your unwanted pieces back in the box and ship it back (shipping label is provided or your convenience) for your next set. My box was quite great. Madison, my Rocksbox stylist, pulled pieces that perfectly catered to my tastes. Hitting the statement aspect beautifully with the Perry Street Olivia Necklace and delicate touches with the Gorjana Infinity II Ring in Rose Gold and Sophie Harper Pave Ball Studs in Gold. As a Rocksbox "It Girl," I'll be taking you along with me on this fabulous jewelry journey for three sparkly sets. Stay Stay tuned for the next set and see which pieces I'll be receiving and styling. If you'd like to try this pretty awesome service yourself, head over to Rocksbox and build your profile. Don't forget to use code askandtellbeautyxoxo to score your first box completely FREE! Let me know what jewelry you fabulous girls receive or which pieces you have your eye on!